I recently spoke to a friend on Skype and we were talking about how there are no carnivals in Sussex. We have many beer and ale festivals, bathtub races and fun fairs on the seafront in the summer, but nothing huge where everyone gets involved. Also a “British Festival” usually consists of muddy fields, wellington boots and, in my case, losing the location my tent on multiple occasions. Since my arrival in Dominica in October I’ve had a pretty busy calendar of events, it’s been awesome! The first event I attended was Creole in The Park. Luckily I’d managed to be-friend a Dutch guy and we’d agreed to meet up for the 3 days of the festival; it wasn’t hard for us to spot each other, I’m short and covered in tattoos whilst he has blonde hair and blue eyes. We danced, drank, danced some more, and we were even taught some moves by new friends! It was a brilliant introduction to my escape to Paradise. Next up was World Creole Music Festival, 3 incredible nights of being fully immersed in the Caribbean vibes and rhythms. By this time I had heard a few of the songs on the radio or in town, and some of the artists had been at Creole in The Park too. The beats kicked in, the crowd erupted and everyone was dancing. 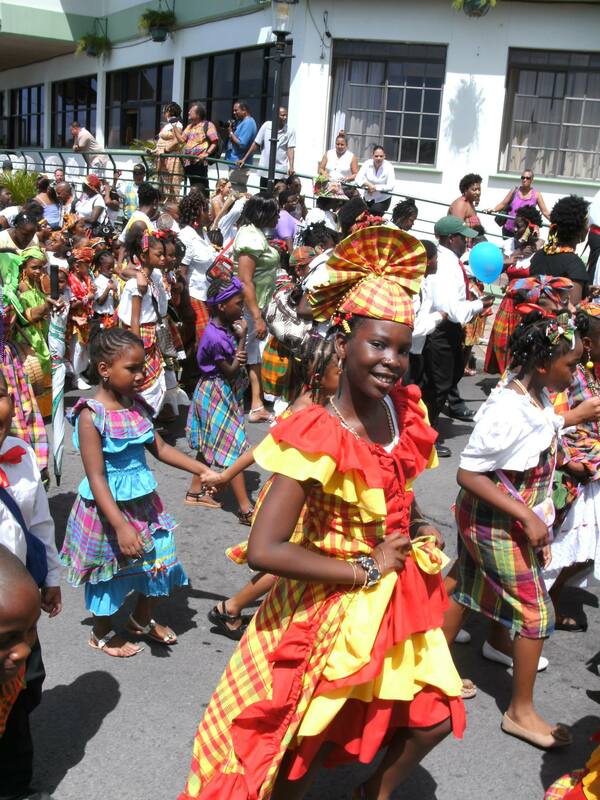 This month, the Opening Parade for Carnival in Roseau was, as promised, fantastic. The town was alive, everyone was out to party and that they did. I’ll be sure to let you know how my first time “playing mas” goes – I can’t wait for Carnival!